Resort Ski Report:0 из 0 Открыто подъемников. Our model predicted that 46cm (18 inches) of snow fell over 48 hours between Monday 22 of April at 9PM and Wednesday 24 of April at 9PM EAT at the summit. Compacted depth will be less. 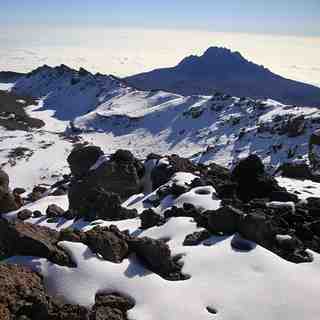 We stress the importance of checking the date on the Mount Kilimanjaro snow report particularly around weekends. 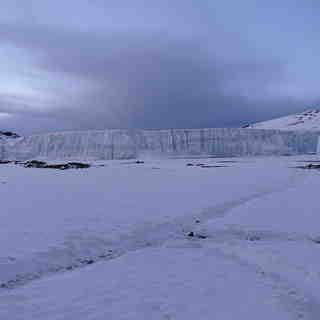 For example, the snow report for Mount Kilimanjaro on Friday may indicate powder after recent snowfall but following a sunny and busy weekend, when the locals hit the mountains en masse, the ski conditions (at any resort) can deteriorate rapidly and late arrivals may see very different ski conditions. Of course some people look for deteriorating conditions in the snow report for the likely development of mogul fields but for powder lovers and particularly snowboarders this can mean tracked out off-piste snow. Of course, this doesn’t always happen quickly after fresh snowfall particularly at quiet Юг facing resorts at high altitude where genuine powder stashes may be found days or even weeks later. It is worth checking the piste map for Mount Kilimanjaro (found in menu above) for the location of favourable slopes that may be described in the "Mount Kilimanjaro Snow Conditions" part of the snow report. In addition to checking the Mount Kilimanjaro snow report we recommend that you check the snow forecasts found in the menu at the top of the page along with our ski resort guide.